Certain US airports are unsuitable for the Max 8 "due to a combination of short runway lengths, elevation, temperature, humidity and other environmental conditions." Data released last week from the Ethiopian Airlines flight indicated the pilots didn’t cut the 737 Max 8 airplane’s speed after takeoff when they should have. The preliminary report on the disaster said the plane’s anti-stall system pushed the nose of the plane down less than two minutes into the flight because of a malfunctioning sensor. The pilots struggled to control the plane as it hurtled toward the ground at 575 miles per hour. 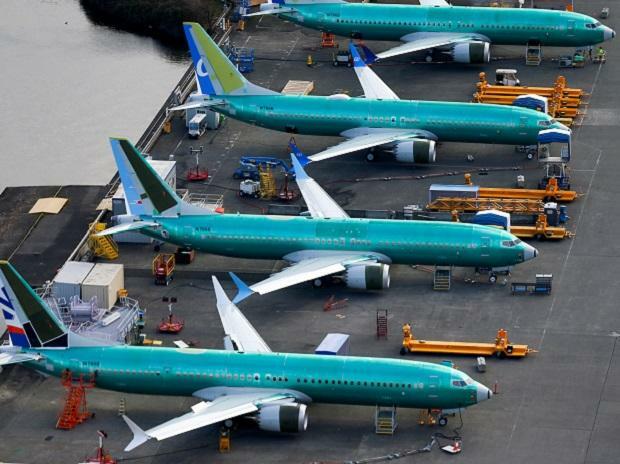 Boeing cited the performance of the 737 Max 8 in a case brought before the US International Trade Commission in 2017. Boeing charged that unfair competition from Bombardier -- which beat out Boeing for a large order from Delta Air Lines -- threatened its 737-700 and Max 7, the smallest of its upgraded single-aisle jets. By pointing out the limitations of the Max 8, the planemaker sought to preserve market share for the 700 and Max 7. “Larger 737 variants cannot be used at what are referred to has ‘high/hot’ airports,” the brief stated. Certain US airports are unsuitable for the Max 8 “due to a combination of short runway lengths, elevation, temperature, humidity and other environmental conditions." Denver’s airport is more than 2,000 feet lower than Addis and has five runways that measure 12,000 feet (or 3,600 meters) and one that is 16,000 feet (or 4,800 meters). The airport in Mexico City is 300 feet lower than Addis and has four runways that are 13,000 feet (or about 4,000 meters) and two that are 15,000 feet (or about 4,600 meters). Aeromexico flies the Max 8 as part of its fleet. Hot airfields such as the Jakarta airport, from where the doomed Lion Air plane took off last October, produce similar air densities as high elevations, requiring faster takeoff speeds. Heat, air density and fast speed haven’t been cited as factors in that accident. The performance of all airplanes deteriorates in high heat or elevation, and all pilots account for that before taking off, said Steve Wallace, former director of the Federation Aviation Administration’s accident investigation branch. Even airlines operating from Orange County, California, which is nearly at sea level, occasionally have to reduce weight on their planes because of high temperatures, Wallace said. "Even if it is BS, plaintiffs’ lawyers will focus on the quote and put that back to the company to explain it," said long-time aviation attorney Roger Clark, who teaches aviation law as a visiting professor at Rutgers University in New Jersey.